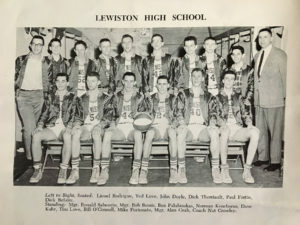 Prior to 1962 the New England Basketball Championships included all six state champions. Brewer High School 81-64 for the Maine State Championship. 0 record as they represented Maine in the New Englands. secured its place in Maine folklore as one of the best teams ever to represent the state. place in our state’s historical record.